Killed when car bomb exploded while evacuating area, Bridge Street, Garvagh, County Derry. Inadequate warning given. Found shot, Mayo Street, Shankill, Belfast. Assumed to be a Catholic. Killed by: Irish Republican Army (IRA) Shot by sniper, while in Vere Foster School British Army (BA) base, Ballymurphy, Belfast. Killed by: Ulster Volunteer Force (UVF) Publican. Died three days after being shot during armed robbery at his workplace, Horseshoe Bar, Shankill Road, Belfast. Killed by: Ulster Freedom Fighters (UFF) Independent Councillor. Abducted shortly after leaving his licensed premises, Corner House Bar, Main Street, Trillick, County Tyrone. Found shot in Lough Eyes, near Lisbellaw, County Fermanagh, on 10 August 1974. Killed by: Royal Ulster Constabulary (RUC) Shot by undercover Royal Ulster Constabulary (RUC) member, in entry, off Dromara Street, Ormeau Road, Belfast. Status: Royal Ulster Constabulary (RUC), by: Irish Republican Army (IRA) Killed in land mine attack on Royal Ulster Constabulary (RUC) armoured patrol car, Killylea Road, Armagh. Killed by: Irish Republican Army (IRA) Killed in land mine attack on Royal Ulster Constabulary (RUC) armoured patrol car, Killylea Road, Armagh. Killed by: Official Irish Republican Army (OIRA) Shot while walking at the junction of Roden Street and Clifford Street, Belfast. Killed by: Ulster Volunteer Force (UVF) Shot at his home, Ardress, near Loughgall, County Armagh. Status: Irish Republican Army (IRA), Killed by: Ulster Volunteer Force (UVF) Shot at his home, Friendly Way, Markets, Belfast. Killed by: Irish Republican Army (IRA) Died 18 days after being injured in land mine attack on Royal Ulster Constabulary (RUC) armoured patrol car, Red Arch Bay, near Cushendall, County Antrim. 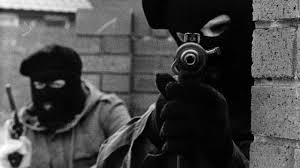 The Glenanne gang or Glenanne group was a secret informal alliance of Ulster loyalists, mostly from Northern Ireland, who carried out shooting and bombing attacks against Catholics and nationalists during the Troubles, beginning in the 1970s. 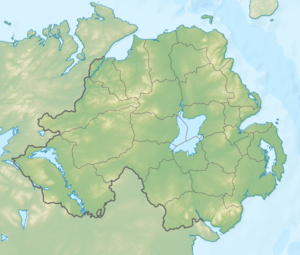 Most of its attacks took place in the “murder triangle” area of counties Armagh and Tyrone. It also launched some attacks elsewhere in Northern Ireland and in the Republic of Ireland. Peter Barry, then Irish Foreign Minister, travelled to London and told a group of Members of Parliament (MPs) that democracy in Northern Ireland was being undermined by the increase vote for Sinn Féin (SF). Gerry Adams, then Vice-President of Sinn Féin (SF), was in London as a guest of Ken Livingstone, then leader of the Greater London Council (GLC). Adams said that Britain had erected a ‘wall of misinformation’ around Northern Ireland. Shot while on British Army (BA) foot patrol, Unity Flats, off Upper Library Street, Belfast. Found shot in burning abandoned car, Summer Street, Lower Oldpark, Belfast. Shot during gun attack shortly after leaving Royal Ulster Constabulary (RUC) Armoured Personnel Carrier, Main Street, Dungiven, County Derry. Shot while running away after armed robbery at Taughnevin Post Office, Craigavon, County Armagh. Found shot, Meigh, County Armagh. Alleged informer. Shot from close range while sitting in stationary Royal Ulster Constabulary (RUC) armoured patrol car, Market Street, Newry, County Down. Off duty. Shot at his home, Murob Park, Ballymena, County Antrim. Found shot, Coach Road, Newtownhamilton, County Armagh. Alleged informer. Four people were shot dead and 18 were injured in the continuing feud between the Provisional Irish Republican Army (PIRA) and members of the Official Irish Republican Army (OIRA). An off-duty member of the Ulster Defence Regiment (UDR) was shot dead by the IRA in Belfast. James Morgan (16), a Catholic civilian, was found dead in a field in County Down. It was believed that he had been abducted by the Loyalist Volunteer Force (LVF). Morgan had been missing since 24 July 1997. He had lived near Castlewellan, County Down. [He had been tortured before being killed.] (27 or 29 July ?) James Marley (21) from west Belfast hung himself on the railings of a motorway in Belfast. He had previously suffered a paramilitary ‘punishment’ attack, and had both his legs broken, because of his alleged involvement in ‘joyriding’ in the west Belfast area. Hours before he committed suicide he had attended an anti-joyriding meeting where he had appealed for more youth facilities in the area. Two brothers, both Catholic civilians, were shot and wounded in a Loyalist attack in Derry. Bernadete Sands-McKevitt, sister of Bobby Sands and member of the 32 County Sovereignty Committee, said that the use of physical force by Republicans would not end until British rule in Ireland ended. Garda Síochána (the Irish police) investigating a plot to smuggle handguns from the United States of America arrested a man and two women in Inverin, County Galway, and recovered eight handguns that had arrived in two parcels through the post. Earlier, in the US, the FBI detained two men and a woman in Fort Lauderdale, Florida, and a Belfast man in Philadelphia in a transatlantic operation involving British and Irish police. 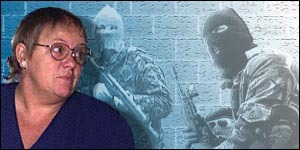 An FBI source was reported as saying that the guns were intended for the Irish Republican Army (IRA). A Catholic church in Moneymore, County Derry, was attacked with a pipe-bomb. No one was injured in the incident. A woman escaped injury after a bomb was left at her house in Larne, County Antrim. The woman heard a noise around midnight and discovered the device at the front of her house. 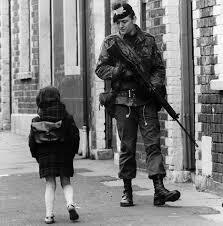 The Royal Ulster Constabulary (RUC) moved the residents living on the street from their homes. 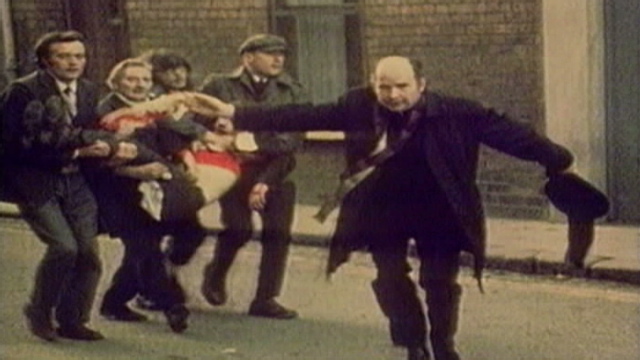 Both attacks were carried out by Loyalist paramilitaries. Killed by: Ulster Defence Association (UDA) Found shot on waste ground, off Linfield Road, Sandy Row, Belfast. Killed by: Ulster Volunteer Force (UVF) Also off duty Ulster Defence Regiment (UDR) member. Shot outside his home, Houston Park, Mourneview, Lurgan, County Armagh. Killed by: Irish Republican Army (IRA) Off duty. Shot at his home, Woodvale Avenue, Belfast. Killed by: Irish Republican Army (IRA) Republican Clubs member. Shot in the foyer of Alexander House, New Lodge, Belfast. Official Irish Republican Army (OIRA) / Irish Republican Army (IRA) feud. Killed by: Official Irish Republican Army (OIRA) Shot as he got out of car, Unity Flats, off Upper Library Street, Belfast. Brother member of Sinn Fein (SF). Official Irish Republican Army (OIRA) / Irish Republican Army (IRA) feud. Killed by: Official Irish Republican Army (OIRA) Shot while walking along Divismore Crescent, Ballymurphy, Belfast. Official Irish Republican Army (OIRA) / Irish Republican Army (IRA) feud. Killed by: Irish Republican Army (IRA) Killed by remote controlled bomb hidden in parked car, detonated when British Army (BA) foot patrol approached, Moy Bridge, near Aughnacloy, County Tyrone. Killed by: Loyalist Volunteer Force (LVF) Found beaten to death, in field, off Blackstaff Road, Clough, near Castlewellan, County Down.